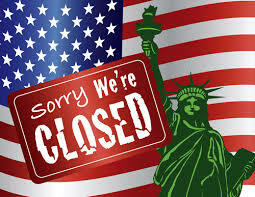 Many involved in the real estate industry have no doubt been paying a lot of attention to the government shutdown and how it is affecting the mortgage business. In a recent article by Diana Olick of CNBC, she says that as negotiations to end the U.S. government’s partial shutdown and avert a debt default went back and forth between progress and deadlock, applications for government mortgage products has dropped to a six-year low last week. The article explains that, according to a weekly survey by the Mortgage Bankers Association, even though total mortgage applications actually rose higher, but only by 0.3%, this increase was mainly driven by a 3% rise in refinances. And, the survey showed that mortgage applications to purchase a house dropped by 5%. Even though most Federal Housing Administration lenders are still able to process loans through an automated system, the government shutdown has caused FHA lenders to delay loans that need more complicated approval. And, according to Olick, the same is true for the Veterans Administration program. Another negative seen in the government shutdown focuses on a program from the U.S. Department of Agriculture, which is out of commission entirely. This government shutdown impact is not good news in the industry. Home sales, according to the article, have been slowing since mid-summer and mortgage applications to purchase a property are now down over 1% from a year ago. Refinance applications are down from a year ago as well. As it looks like the government shutdown is now ending, it will be a big sigh of relief so the housing recovery can continue to recover. If you have questions about how this may be affecting you if you are planning on buying or selling, please give me a call and we can discuss all of your concerns.